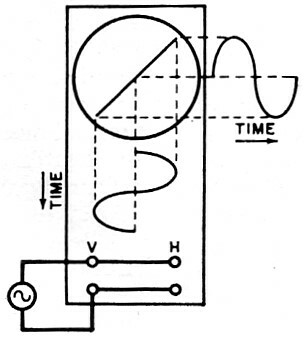 Just yesterday I posted an article titled "Understanding Your Triggered Sweep Scope," that appeared in the May 1973 issue of Popular Electronics, so I figured this "Scope-Trace Quiz" would make a good compliment. 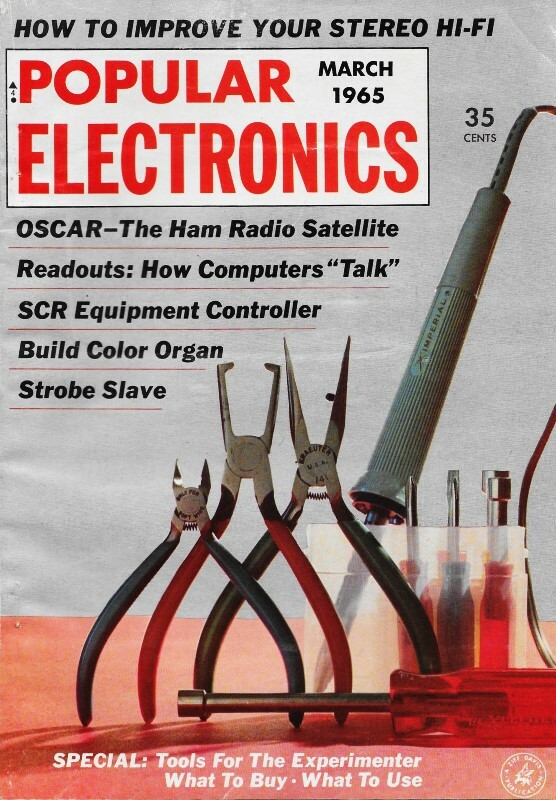 It is from a 1965 issue of Popular Electronics. Driver circuits all include a sinewave source in parallel with a series resistor and diode, connected to the vertical and horizontal o-scope inputs. 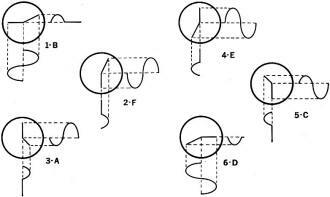 The resulting Lissajous waveforms resemble hands on a clock face thanks to the diode. Shamefully, I only scored 70%, but in my own defense I'll say I didn't take the time to draw them out on paper. Pay careful attention to the scope connections. How are you at vectors? Here's a chance to get some practice and test your scope sense. 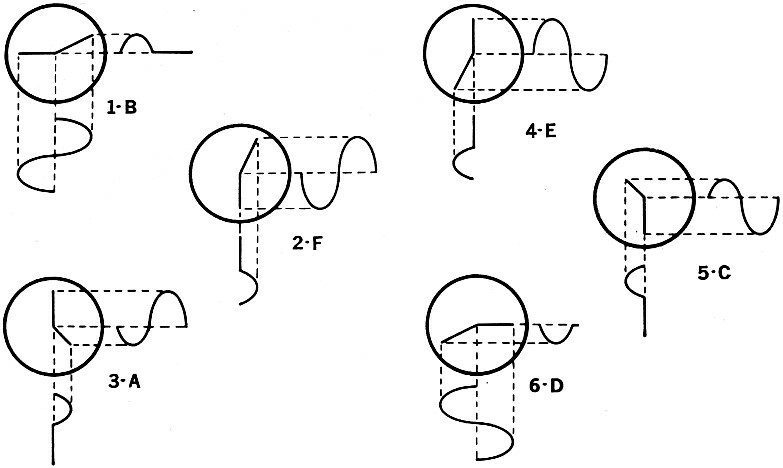 The vertical and horizontal input signals to an oscilloscope combine to form Lissajous patterns whose appearance depends on the waveform, frequency, and relative phase of the two signals. Knowing how these patterns are formed will help you to interpret waveforms and to have a better understanding of the scope. Test your ability to project (vectorially) the forces at work on the electron beam in the CRT. 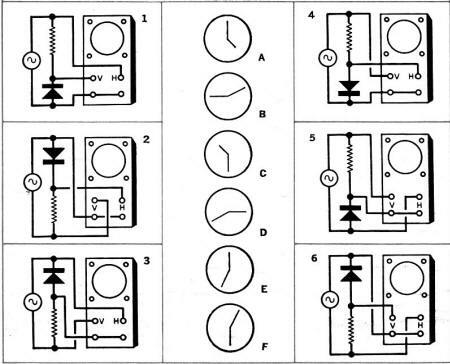 Six different oscilloscope traces are shown in A-F. Can you match them with circuits 1-6 below? The resistor used in each circuit has a value equal to the reverse resistance of the diode. 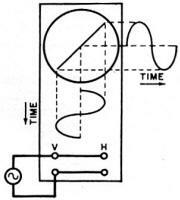 Forward resistance of the diode is negligible. 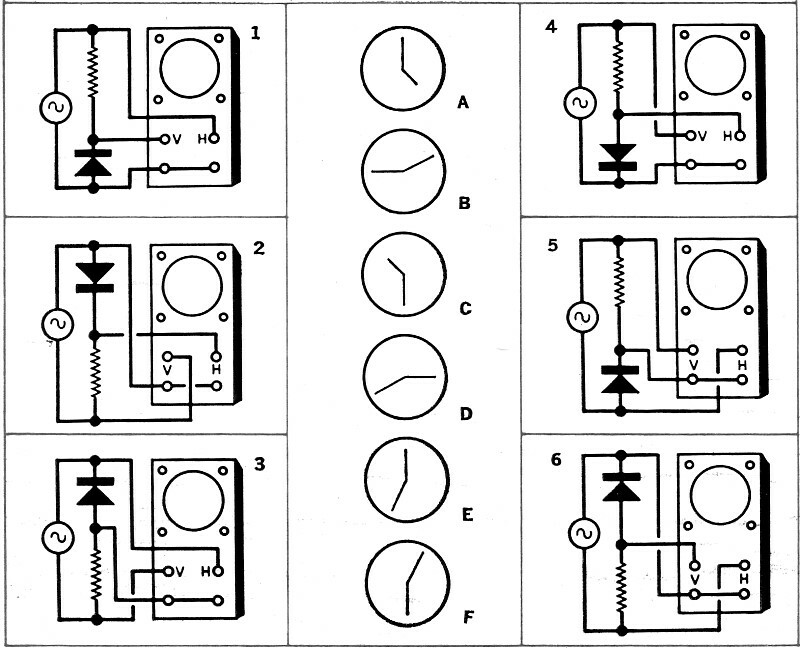 The circuits shown do not load or distort the signal source. Both the vertical and horizontal gain controls have been set to provide equal gain. Positive-going signals cause the beam to be deflected upward for the vertical input and to the right for the horizontal input, The example at left shows the resultant trace derived from the same signal applied to both the vertical and horizontal scope inputs. Tips on how to solve this quiz appear with the answers (at bottom of page). (1) Output across the complete resistor and diode circuit is the same amplitude as the input signal. (2) Output across the resistor only varies between 50% and 100% (100% when the diode is working in the forward direction). (3) Output across the diode varies between 50% and 0% (0% when the diode is working in the forward direction).